If you're in the Florida area, you might want to stop by Inspire Quilting & Sewing in beautiful downtown Plant City tomorrow, because I'll be having my first book signing there! I'll be at the shop from 2pm to 5pm on Saturday, and I'm bringing lots of the quilts from the book as well! I'd love to see you there! I'll also be bringing my finished Less is More Sun Prints Style quilt, which will hang there as a class sample until it heads to Market in Houston. 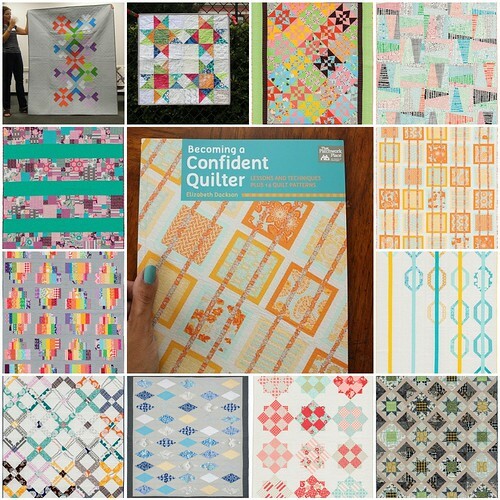 I'll be teaching a class to make that quilt on November 8th at Inspire. Have a wonderful weekend, and don't forget to enter the Sun Prints giveaway - a winner will be announced on Monday.